consultants can handle it all. Exchange Online is the Microsoft Azure-hosted software-as-a-service (SaaS) platform available by subscription through Office 365. Enabling you to utilize cloud-hosted servers, mailboxes and other messaging infrastructure, Exchange Online can significantly reduce out-of-pocket expense and management hassle. This is especially attractive for small to medium-sized organizations with minimal IT resources or in-house technical skills. Migrating to Exchange Online can be relatively straightforward or it can be agonizingly complex. This depends strongly on your current email environment and your functional requirements. EPC Group can migrate all the data you have from your traditional email, calendars and contacts to email signature blocks, rules as well as all of your various calendar permissions. We make the transformation from Exchange Server to Exchange Online simple and risk-averse. In addition to this we can work on migrations for every version of Exchange Microsoft ever rolled out. 3 Key attributes of Exchange Online that you can't afford to miss out on. Making the move to Exchange Online can actually save your organization lots of money. Email servers are massive infrastructure costs and overhead requiring ongoing maintenance and renovations. There is server maintenance, replacement and utility bills that come along with keeping them functional and operating. Migrating to Exchange Online puts an end to all of that. Instead, in exchange for the price of subscription, all of your server issues are resolved for you. No more server maintenance and installing new updates ever again. Perhaps the most significant benefit that Exchange brings to your business is its incredible security. Microsoft Office 365 Secure Productive Enterprise brings together a suite of critical business applications with collaboration, mobility and intelligence integrated around an umbrella of security, compliance and trust. 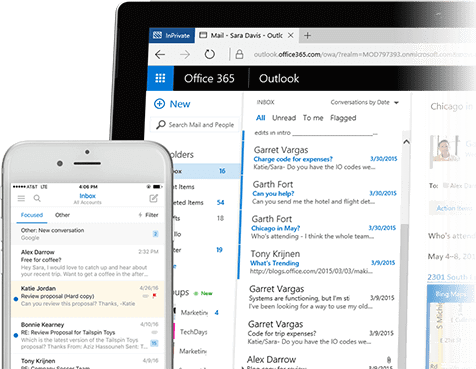 Microsoft has spent literaly billions of dollars on Exchange Online’s data security offering that ensures that your emails are safer within Microsoft’s protected cloud than in your own on-premise server. Exchange is also compliant with all major compliance standards such as ISO 27001, HIPAA and FISMA. When it comes to simplicity, ease of use and improved functionality no other email system can rival Exchange Online. Exchange Online provides fast, intuitive and convenient email controls. It has smart look-ups that enable you to quickly find emails within your system. Searches are performed by keyword, author or date, allowing for quick and accurate search results. While personal emails and other systems can become bombarded with unsafe junk and spam emails before you know it. Exchange Online’s spam filter makes certain that only legitimate emails will arrive in your inbox. 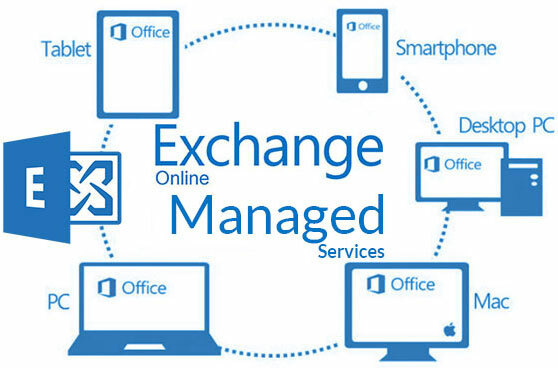 Exchange Online is accessible across platforms like mobile and tablets, as well as being fully integrated with Microsoft’s cloud service. Wherever you have an internet connection, you will be able to access your emails. A hybrid deployment is a combination of on-premises applications or data and cloud-based services. For example, Exchange hybrid solutions could include using an Exchange Server on-premises and Exchange Online in Office 365. Whether you move to Exchange Online in a phased approach, or keep some users’ mailboxes on premises and others in the cloud, you can use an Exchange hybrid deployment to achieve your goals. In many cases, an organization will want to establish a hybrid environment that supports both local and cloud-based mailboxes. This may be preferable to an 100% cloud model in order to comply with regulatory or business standards, strengthen security, improve availability and provide management flexibility. In addition, best practices often dictate the creation of hybrid configurations as a temporary step in migrating safely from an on-premises Exchange deployment to Exchange Online. Mail flow, which is the end-to-end path messages travel from sender to recipient and can also add complexity. 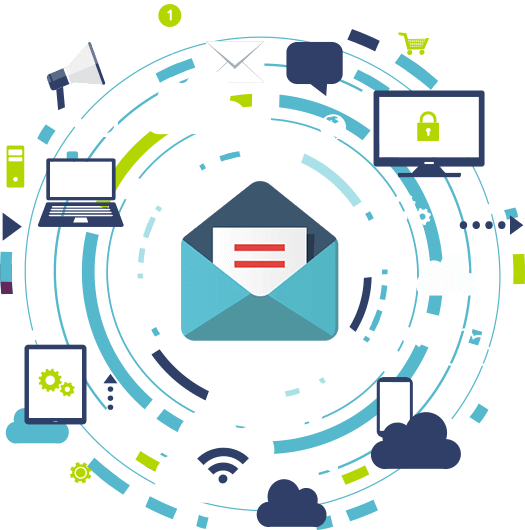 For example, the use of 3rd party, cloud-based mail filtering services or multifunction office devices that generate and receive emails can affect how you integrate Exchange Online into your email environment. Predictable, Seamless Exchange Migrations to Office 365. For Exchange to Exchange Server 2016 on-premise or Office 365’s Exchange Online migrations, EPC Group can move it all. From your basic email, calendar and contacts to email signature blocks, rules and calendar permissions. We will make the transition from Microsoft Exchange Server to Exchange Online easy and low-risk. Plus, we handle every version of Exchange: 2003, 2007, 2010, 2013 and 2016. Our tools provide for encrypted and secure migrations from various platforms into either Exchange Online, 2016 on-premise or a hybrid solution guaranteeing your organization’s migration will be a success. Why use EPC Group for your Exchange Migration? 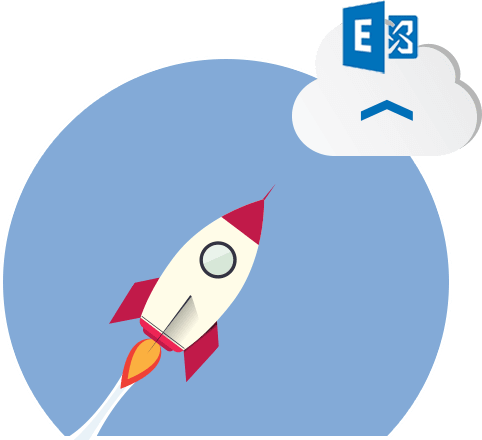 EPC Group’s Microsoft Gold-certified team of consultants can offer you affordable online expertise to help you evaluate the benefits you can expect from Office 365 Exchange Online. You can design a network architecture that aligns best with your companies needs and technical capabilities. We can carry out a smooth, non-disruptive migration to Exchange Online from your current email platform. We can also provide training for your management, and end-users, as well as deliver consulting and troubleshooting to keep your new Exchange Online system productive. 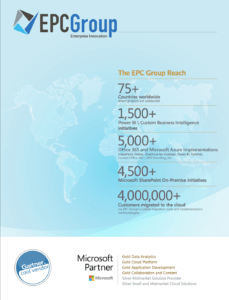 EPC Group has 7 years of experience setting up hybrid cloud solutions and 16 years of experience with on-premises Exchange Online solutions, configuring mail-flow, providing disaster recovery services, defining and validating security strategies, streamlining Exchange management, integrating Exchange Online with Microsoft Office 365 and other applications, supporting smartphones and other mobile devices, configuring firewalls, routers, switches and VPN connections for convenient access to cloud and on-premises resources. EPC Group offers a robust Microsoft Exchange Support services team at your service 24/7. Our enhanced support team works as a supplement or extension to your internal IT staff. Many smaller companies don’t need or can’t justify the expense of a full-time employee to staff an in-house Microsoft Exchange support position. EPC Group’s approach to Exchange Support Services provides our customers with a highly responsive team of SME’s, comprehensive coverage and predictable costs. As part of our Exchange Managed Services, we assume responsibility for proactively monitoring, managing and supporting your Exchange environment on a 24/7 basis. Our comprehensive services ensure that your users are supported and able to work efficiently and without disruption. As part of our service, we update and manage your environment to ensure security, stability, and functionality. We report our findings to you on a monthly-basis and provide best practice roadmap recommendations for the future. EPC Group offers a full range of consulting, configuration and support services for Exchange regardless of whether your deployment resides in a public, private or hybrid environment. EPC Group has deep expertise in eDiscovery and Exchange integration with SharePoint 2019 to meet complex enterprise content management (ECM) and records management (RM) retention requirements that may exist between these two platforms. EPC Group provides for migration services for your existing on-premise Exchange Server environment into a new Exchange Online environment all the while ensuring there is little to no impact to your organization’s users.